MAN Truck & Bus Jordan have supplied 101 MAN trucks to make the Jordan capital city of Amman cleaner and greener for residents and visitors. The delivery of the new vehicles at King Hussain Gardens was celebrated under the patronage of the Mayor of GAM, His Excellency Youssef Shawarbeh. The new fleet consist of: 35 x TGS 33.360 6X4; 40 x TGM 18.240 4X2; 10 x TGL 10.180 4X2 Refuse Collector 4m3: 10x TGM 15.240 4X2 Refuse Collector 8m3: 2 x TGM 18.240 4X2 Skip Loader 9m3; and 4x TGS 41.400 8X4 Roll-on Roll-off trucks. All vehicles have been supplied with a two-year repair and maintenance contract. 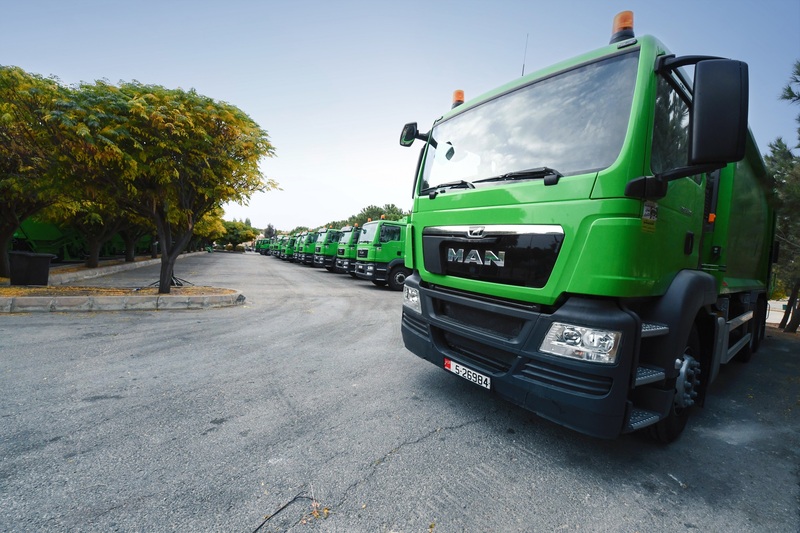 Commenting on the tender appointment, Erhan Eren, Head of Truck Sales at MAN Trucks & Buses Middle East said: “GAM now manages approximately 4,000 tonnes of solid waste a day, a 48 per cent increase on the amounts seen in 2011. This has placed unprecedented strain on the solid waste infrastructure, which the investment is directly addressing. Greater Amman Municipality (GAM) has been operating MAN trucks for almost a decade now. Over the years, the number of MAN trucks operating under GAM has significantly increased to almost 67% commercial vehicles in the maintenance and care operations in Amman. GAM is an integral part of the Green Amman 2020 to ensure that the city stays green and clean. One of Amman’s Resilience Strategy is to improve their waste management system. Each of MAN’s specially customized trucks are integrated with high-pressure washing equipment which enables deep cleaning of the waste water collection system. This ensures that waste is being treated hygienically and disposed safely. “We take this major order as a sign that the Greater Amman Municipality has real faith in us. This is yet another milestone in a wonderful business relationship and it motivates and drives us to make customer orientation a top priority in vehicle development and service going into the future,” concluded Mr. Eren. “We, at Integrated Automotive, are committed to provide professional service to simplify our customers’ business operations so they can completely focus on their business. We are very pleased that Jordan’s capital as GAM is banking on our trucks and trust in our service solutions said Ahed Sukhon, General Manager at Integrated Automotive. 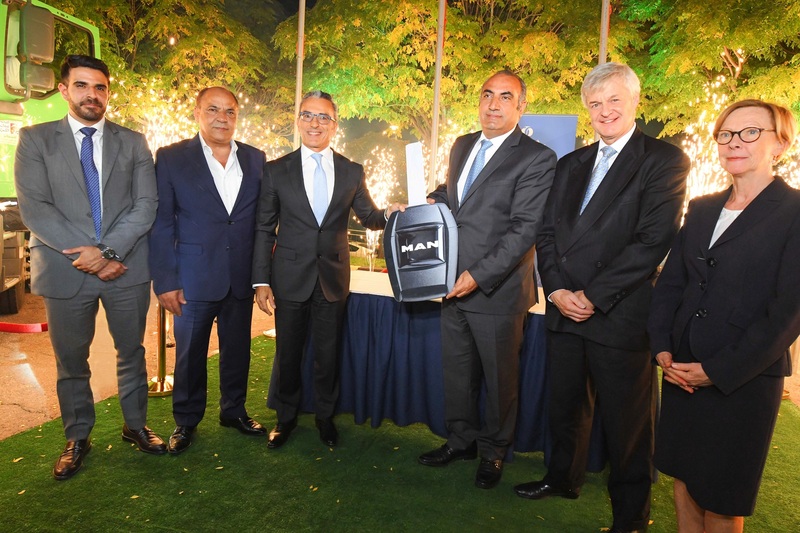 MAN Truck & Bus was established through their exclusive partner Integrated Automotive (IA) in 2008 in Jordan. The partnership between the two is strengthened through their collective goal of serving customers and business owners alike. Moreover, adapting to the latest means of technology that ensure that the environment is not harmed. In 2019, MAN will celebrate over 100 years truck competence in the municipal sector of waste disposal. MAN Truck & Bus Jordan supplied 101 MAN trucks to GAM.